LOS ANGELES - R.E.M. and MTV came of age together. From the start, their fates were intertwined, with the band releasing its first single in July 1981, just weeks before the network premiered its first music video. From that point on, MTV documented everything about R.E.M, their music, their stories, and ultimately, their decision to disband in 2011. This entire story, beginning to end, is chronicled in REMTV, a new six-DVD set that includes live performances, award show highlights, and television appearances, as well as a new documentary about their shared history. REMTV will be available on November 24 at retail outlets for a suggested list price of $99.98. 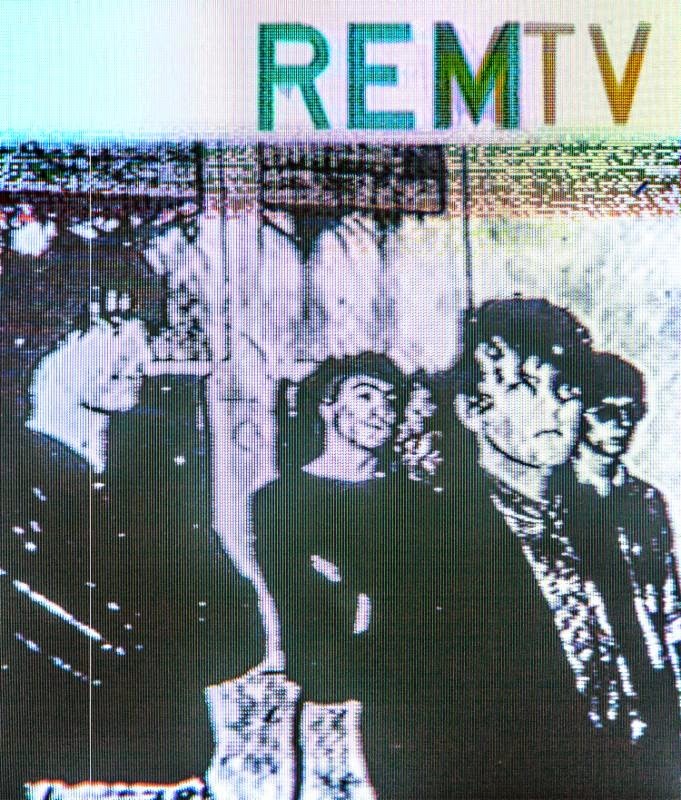 "It occurred to us that there's all this footage of some of the band's absolute career highlights sitting in some MTV vaults in London and New York-- and thanks to a lot of effort and digging and arranging, this is our chance to share that music with various generations of R.E.M. fans in a pretty unique release," said longtime manager Bertis Downs. "And Alexander Young's documentary is a fine way to tell the story of R.E.M. through its various twists and turns, as captured in real time by MTV's cameras-- it has some great funny bits too!" The first disc combines both of the group's performances on MTV Unplugged (1991 and 2001) and features the outtakes that debuted earlier this year on the audio release Unplugged: The Complete 1991 And 2001 Sessions, including songs like "Get Up," "The One I Love" and "World Leader Pretend." "This is the first DVD project to unite material from all across Viacom's networks," said Bill Flanagan, EVP of the Viacom Music Group. "Not only are we drawing from the vaults of MTV - domestic and international - but from VH1, Comedy Central, and Nickelodeon. I don't think anyone realized just how much terrific R.E.M. footage we were sitting on. To gather the best of it in one collection is pretty overwhelming. R.E.M. started great, stayed great and ended great - here's the evidence." The band's 1998 appearance on VH1's Storytellers opens the second disc, and has been expanded with unaired performances of several songs, including "New Test Leper" and "(Don't Go Back to) Rockville." Also featured are performances taken from various MTV award shows through the years, as well as the band's 2007 induction into the Rock and Roll Hall of Fame. Longtime fans will certainly delight in two vintage performances included here. First is a 1983 performance of "So. Central Rain" and "Carnival of Sorts (Box Cars)" from Livewire. The next clip features five songs the band played in 1984 on The Cutting Edge, including "Driver 8" and a cover of Brownsville Station's "Smokin' in the Boys Room." The next three discs present a trove of rare live performances recorded between 1995 and 2008 in countries around the world. Of the 99 songs that are spread across these three discs, nearly half are unique song titles, offering a deep exploration of the band's live legacy. Especially noteworthy are two massive free concerts filmed for broadcast: Live In Cologne (5/12/01) and R.E.M. Live In Athens, Greece (10/5/08). More than a dozen songs from those shows did not air during the original broadcasts. Both concerts appear here in their entirety for the first time. Undoubtedly, the heart of this superb collection is the new feature-length documentary, R.E.M. By MTV, included on the final disc. Drawing exclusively on archival events, the film traces R.E.M. and MTV in real time, which makes it feel as exciting and immediate as it did when it was happening. "All the energy and momentum of both the band and the network come roaring through," writes Anthony DeCurtis in the set's liner notes. R.E.M. By MTV will also premiere simultaneously on VH1 Classic and Palladia later in November, marking its first television run in the United States. Additional information about air dates will be announced. Eleanor Rigby by Alice Cooper is available to download now from www.theartofmccartney.com . The Art of McCartney will be released November 18, 2014. A fan of The Beatles since before he was ever performing Alice has been quoted as saying ‘We were way influenced by the Beatles' music, by the great songwriting of Lennon and McCartney. If you ask Ozzy and Steven Tyler the same thing, you'll find that there's a lot of melody in what we all do. We're always going to be a little more horse-powered than the Beatles were, but we always referred back to those melody lines’. 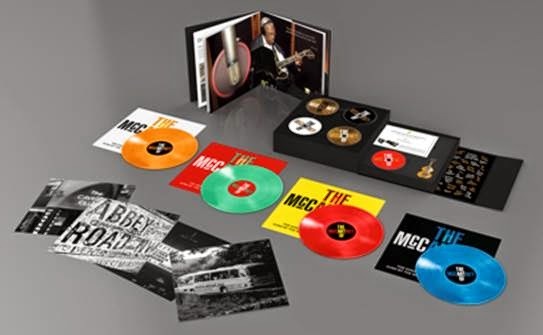 The Art Of McCartney is a long awaited and very special project celebrating one of the most universally acclaimed songwriters of all time, Sir Paul McCartney. With backing provided by McCartney’s long time band, classic tracks such as Maybe I’m Amazed, My Love, The Long And Winding Road, When I’m 64, Let It Be, Helter Skelter, Eleanor Rigby, Live And Let Die have been recorded by some of the world’s greatest artists. The caliber of artists showing their respect to Paul’s songwriting genius is truly staggering. Bob Dylan, Billy Joel, The Cure, The Who’s Roger Daltrey, Brian Wilson, Alice Cooper, Def Leppard, Dr John, Yusuf, Barry Gibb, Jamie Cullum, KISS, Chrissie Hynde, ELO legend Jeff Lynne, and many more have recorded McCartney songs exclusively for this album. The Art Of McCartney is the brainchild of Los Angeles producer, Beatles and McCartney fanatic, Ralph Sall, who has driven this project from conception to delivery. Sall met and worked alongside Paul in 2003 when they revived a song from the 1971 Ram sessions for a movie soundtrack. Ralph then asked Paul and his publishing company if they would support his making this album to honour him. They came back with Paul’s own blessing and thumbs aloft for the project to go ahead. Ralph became a man on a mission, first recruiting McCartney’s gifted backing guitarists, Rusty Anderson and Brian Ray, keyboard player Paul “Wix” Wickens, plus the larger than life drummer, Abe Laboriel, Jr. They know Paul’s extensive back catalogue intimately and this is the first time they have recorded his songs with anyone else since they first started working together with Paul over 12 years ago. Ralph then set about approaching the world’s greatest performers to invite them to step forward and make their mark. This has been a labour of love, not only for Ralph but also for the artists who gave their time to be part of it. All have spoken of the importance of McCartney and his songwriting in their own careers and wanted to show their appreciation. A key strength of The Art Of McCartney is the way these world class artists have got to grips with the sheer range and quality of Paul’s work. From his groundbreaking recordings with The Beatles, through to key moments with Wings and his solo compositions, they are all featured on the album. Legendary Beach Boy, Brian Wilson, was the first to take up the challenge. Undoubtedly he set the bar very high with his rendition of Wanderlust from the underrated 1982 album Tug Of War. There are very few artists whose own work rivals The Beatles. So when producer Ralph Sall approached Bob Dylan to take part, he knew it was ambitious. Dylan’s choice was Things We Said Today - a track from The Beatles’ soundtrack A Hard Days Night – and audiences will be captivated as he growls his way through his remarkable version. There are so many great interpretations here but look out for Willie Nelson’s heartfelt Yesterday, Roger Daltrey’s frenzied version of Helter Skelter, B.B. King’s atmospheric On The Way and The Cure’s Hello Goodbye. Also Smokey Robinson who makes his version of So Bad from Paul’s Pipes of Peace album his own, his tender vocals taking the song in a new direction. All aspects of Paul’s peerless back catalogue have been explored from The Beatles to his experimental early solo work, to Wings and his latter solo output. Lesser-known hidden classics such as Junk and Every Night are given a fresh outing and interpretation. The lead off track from the album is The Cure’s take on The Beatles classic ‘Hello Goodbye’ which is the band’s first release in 6 years and also features Sir Paul’s son James on keyboards. The track is available for download now for those who pre-order The Art Of McCartney. Whether it is The Cure’s Robert Smith, Corinne Bailey Rae, Smokey Robinson, Bob Dylan, Billy Joel or KISS, they each bring their own special talent to Paul’s much-loved songs. In so doing, they have created versions that are both new and classic at the same time. The Art of McCartney is the very definition of the universal appeal and timeless magic of Sir Paul McCartney’s songs and songwriting. 6. My Love - Harry Connick, Jr.
GRAMMY Award-winning Country Music Hall of Fame member Kenny Rogers will be performing holiday favorites and his classic hits across the U.S. and Canada when his 33rd Christmas tour – Christmas & Hits Through The Years with Special Guest Linda Davis - launches this November. 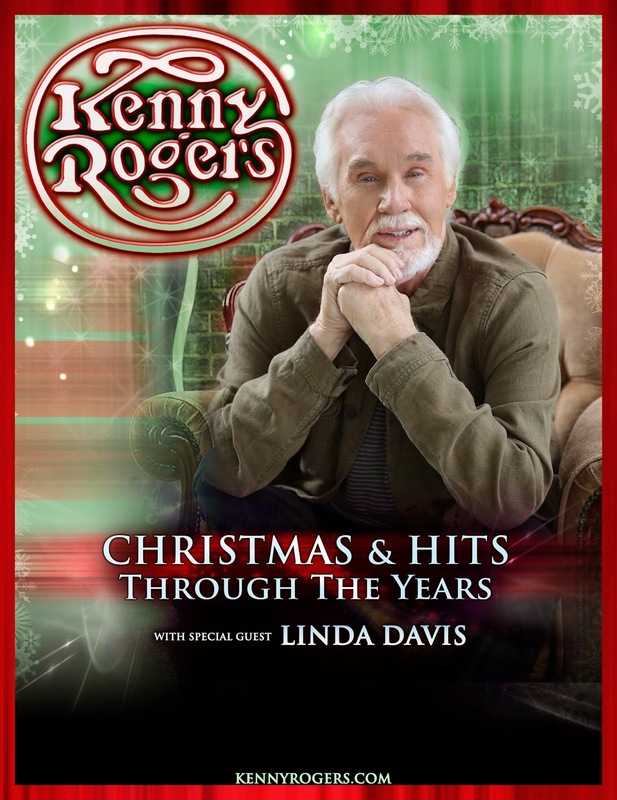 The legendary Rogers will be joined by GRAMMY Award-winner Linda Davis on a festive 25-date run that begins November 12th in Niagara Falls, Ontario and wraps December 23rd in Westbury, New York. Just this month, Rogers, along with his longtime friend Dolly Parton,received their fifth joint nomination as a duo for this year’s CMA Awards. The title track duet from Rogers’ new album, You Can’t Make Old Friends, which is also featured on Parton’s latest release, Blue Smoke, earned the collaborators a nomination in the Musical Event of the Year category. Rogers and Parton also received a GRAMMY Award nomination earlier this year. Rogers generates a fun, family-friendly atmosphere annually with his Christmas & Hits shows, which have become a holiday tradition. His heartwarming performances of Christmas-time favorites like “White Christmas,” “O Holy Night,” “The Christmas Song (Chestnuts Roasting On An Open Fire)” and originals such as “Mary, Did You Know” are accented with the addition of a local choir and children in each tour city. Rogers also performs his big hits such as “Lady,” “The Gambler,” “Islands In The Stream,” “Lucille,” “Ruby, Don’t Take Your Love To Town, “She Believes In Me,” and “Daytime Friends,” making this show a special treat. Celebrating the holiday season, Kenny Rogers adds his legendary voice and incomparable style to Jim Brickman's original song "That Silent Night.” This song, along with fourteen new recordings, will be available exclusively at Amazon on Brickman’s album On A Winter's Night: The Songs and Spirit of Christmas. The album, set for release on October 7th, can be pre-ordered at Amazon now. A portion of all album sales will benefit The Zach Sobiech Osteosarcoma Fund. The fund supports groundbreaking research for osteosarcoma, a rare and aggressive bone cancer. 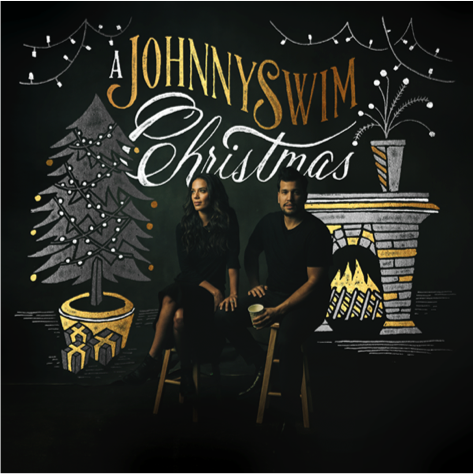 Celebrate the holidays with JOHNNYSWIM! The husband-and-wife team’s A JOHNNYSWIM Christmas EP will be digitally released on November 11 via Big Picnic Records just in time for early shopping lists. The EP was produced by JOHNNYSWIM’s Abner Ramirez and will feature five holiday classics including one live, acoustic recording. See below for full track listing. JOHNNYSWIM, who were selected as the first-ever Vh1 You Oughta Know + artist, continue to receive widespread critical acclaim for Diamonds, which debuted at #1 on iTunes Singer-Songwriter Chart, #10 overall, and top 30 on the Billboard 200 Chart. They were featured on NPR’s “All Things Considered” (http://n.pr/1hKNYzV), played a NPR “Tiny Desk Concert” (http://n.pr/1nXPfsH), performed their single “Home” on “The Late Show with David Letterman” (http://youtu.be/72BiiNXhjRY) as well as Vh1’s “Big Morning Buzz Live” (http://on.vh1.com/1ruJlDQ). Watch the video for “Home” here: http://bit.ly/1ruJHdx. Amanda Sudano-Ramirez and Abner make up JOHNNYSWIM. Amanda was exposed to music at a young age with musicians as parents, while Abner studied music at Douglas Anderson School of the Arts in his native Jacksonville, Florida. The two met in 2006 and started collaborating musically after discovering their similar influences of folk, soul and rock. Since then, they’ve relocated to Los Angeles, released two critically lauded EPs and performed on “The Tonight Show with Jay Leno,” “The Late Late Show with Craig Ferguson,” “Live from Daryl’s House” and “Today Show.” The duo has toured extensively including stops at SXSW, Spoleto Festival, Bonnaroo and a support slots for Emeli Sandé, Aloe Blacc and Feist. My review appears in today's print edition in The Orange County Register, and was originally posted on the Register's Web site on Saturday, Sept. 27. A special "thank you" to Kelly A. Swift for the use of her terrific photos! 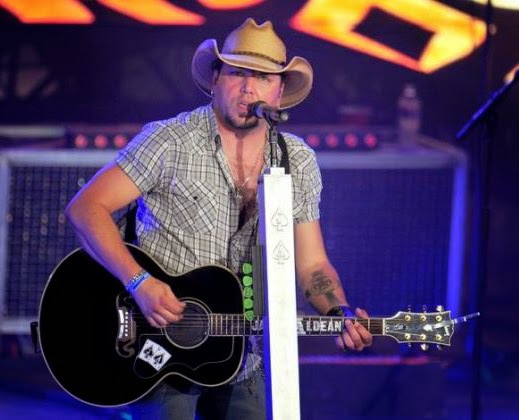 Jason Aldean performed before a sold-out crowd at Verizon Wireless Amphitheater on Sept. 26, 2014. The singer’s party-ready Burn It Down Tour features rollicking tunes and lots of pyrotechnics. Published: Sept. 27, 2014 Updated: Sept. 28, 2014 5:30 p.m.
Jason Aldean brought his aptly-dubbed Burn It Down Tour to Verizon Wireless Amphitheater on Friday (Sept. 26, 2014), unleashing a 90-minute set featuring more than a dozen big hits and even a couple of new gems. Performing before a sold-out crowd that was already partying at full speed by the time Aldean and his powerful five-man band took the stage at 9:15 p.m., Aldean opened with “Hicktown” before kicking things up with “My Kinda Party.” Both songs would well have got the attention of the crowd anyway, but real-life pyrotechnics and flames shooting up on the stage itself further enhanced the dynamic video images displayed on the side and rear-projection screens. Aldean proved early and elsewhere throughout the 90-minute concert that he was performing for two audiences. On one hand, he was leading the house band for the biggest bash in town, courtesy of tunes like “My Kinda Party,” “When She Says Baby” and “Tattoos On This Town.” These were the folks taking selfies and making endless beer runs even during the most riveting concert moments. On the other hand, Aldean was able to equally deliver for those discerning listeners who have connected with his gifts as a singer and how uniquely he can interpret a wide range of songs. On the yearning pedal steel-adorned “Amarillo Sky,” powerful guitar-anchored “Johnny Cash” and reflective “Fly Over States,” he was able to expertly perform for both of those audiences at once. With Aldean's next album Old Boots, New Dirt set for release on Oct. 7, the capacity crowd was treated to performances of two new songs from the disc. First up, was the introspective ballad “Two Night Town” followed a few selections later by the already million-selling single “Burnin' It Down,” with a notable drum loop that proved Aldean is ever-ready to bring new shades to his distinctive style. Aldean's encore was all about the party, with the faithful on their feet as the grunge worthy “She's Country” was unleashed with fireworks to boot. 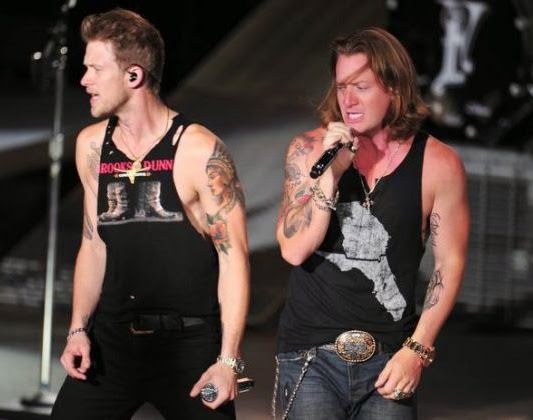 Opening for Aldean was the popular Florida Georgia Line, the duo of Brian Kelley and Tyler Hubbard. The bro-country pair brought their blend of country, rock, hip-hop and pop to Irvine, clearly impressing the party people with a 45-minute set featuring their biggest hits. “It'z Just What We Do,” “Round Here,” the reggae-tinged “Sun Daze” (which could have been a hit for Sugar Ray), and acoustic “Dirt" (off the upcoming album “Anything Goes”) were highlights. Here is some great news for fans of The Moody Blues! Los Angeles, CA -- Due for release on November 24, the superbly packaged eight disc (six CDs and two DVDs) set brings together, for the first time, remastered editions of all The Moody Blues’ Polydor era albums, spanning the period 1986-1992. The package - The Polydor Years 1986-1992 - includes 17 bonus tracks, 11 of which are being released for the first time, including a 1991 BBC radio session. The set also includes a previously unreleased concert recording from the group’s July 1986 appearance in Cleveland, Ohio, during their “Other Side of Life” tour, and a fully remastered edition of the September 1992 “Red Rocks” concert with the Colorado Symphony Orchestra. The Moody Blues have been at the forefront of the classic rock music scene for more than 40 years, and have continued to be a mainstay of concert stages, recording studios and the airwaves to the present day. During their immensely successful career, they have sold millions of albums worldwide, and have been the recipients of numerous prestigious awards. During the latter half of the 1980s, The Moody Blues continued to enjoy huge success, particularly in the U.S., largely due to the release of their hit album, “The Other Side of Life”and its massive hit single, “Your Wildest Dreams.” At the time, the group embraced the then burgeoning video age, and made a series of music videos, which gained them heavy airplay on MTV, which in turn built them a large new audience. The Polydor Years 1986-1992 celebrates this exciting and developmental period in the career of The Moody Blues.